Today’s headline that the British Phonographic Industry (BPI) has published data indicating rock music to have for the first time in two years usurped pop’s dominance, is heartening news. The BPI states that 40% of the bestselling 10,000 albums in the UK were classified as rock, though, the top five positions were still occupied by pop acts like Emile Sande, One Direction and three Now compilations. Yet to say rock ’n’ roll is kicking arse again in the UK is comparable to the Government insisting the British economy is growing at its fastest pace, even though most average Britons will argue they’re not feeling such optimism being reflected in their pockets. You see, there’s something blatantly odd when Bastille, Rod Stewart and OneRepublic are included in one’s definition of rock music, as they are by the BPI. The truth is that proper connoisseurs of rock are not feeling the allegedly robust standing of such music in their everyday environments. Rock music still feels massively undervalued in Britain. While the focus of audiences remains committed to television talent shows specialising in karaoke covers, or media markets that continue to promote hideous American pop stars, proper British rock music is little more than a niche market. 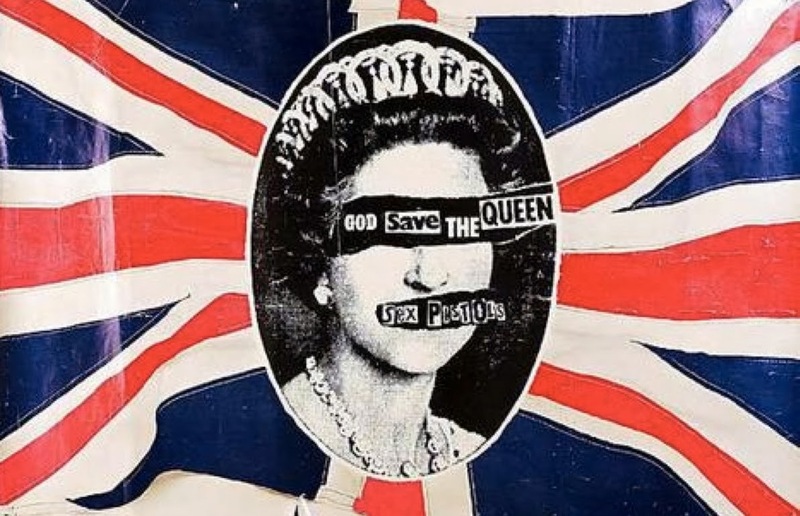 If rock music is thriving in Britain then why can we not feel it? Is rock music the dirty, edgy, piss and vinegar material we love, or is it now a bunch of posh boys who dress like elegant farmers and play with banjos? One thinks that the bench mark for what qualifies as rock music has been badly deflated. British rock music was arguably the best in the world. It changed popular culture forever. Cinema, literature, fashion and journalism was altered after the British Invasion of the 1960s, as was the world’s perception of what qualifies as cool. Rock ’n’ roll was at the centre of this change, and its devaluing is nothing short of a national embarrassment. Drowned in Sound reviewed Canadian band Mode Moderne’s new album Occult Delight last month and remarked on the perennial endurance of Britain’s post-punk movement that came about thirty-odd years ago, and was spearheaded by supremely erudite lads from depressed English industrial towns in the north who wrote achingly sombre songs about the irrepressible bleakness of young life. The British post-punk bands of the 1980s were nihilistic yet gorgeously romantic, emanating the same attraction that made poets like Byron and Shelly belong to the ages. The post-punk legacy of British music was perhaps the last rock movement that endures, still inspiring young artists in a way that Britpop isn’t. Whether rock music is becoming more popular in Britain has become more to do with statistics than anything authentic. British rock music has traditionally been an artistic medium for disenfranchised youngsters to convey how they feel about life’s difficulties, kind of like the way rap music is a comparable channel for marginalised American kids. (Rock ’n’ roll’s origins stem from African-American Delta blues music, but most Americans aren’t exactly brilliant at their history or geography, which means that many black kids stateside refuse to acknowledge guitar music as something that actually belongs to them.) Until rock music in Britain actually stands for something and evokes wider socio-political connotations then the BPI’s meanderings are meaningless and misleading.